A REGULAR MEETING of the Stillwater Township Committee was called to order by Mayor Chammings at 7:03 p.m. noting the meeting date, time and place were duly published in the New Jersey Herald and posted at the Town Hall and advised those present that this meeting was being held in compliance with provisions of P.L. 1975, Chapter 231, Sections 4 & 13. Mr. Scott made a motion to approve the Consent Agenda, seconded by Mr. Morrison. WHEREAS effective child abuse prevention programs succeed because of partnerships among families, social service agencies, schools, religious and civic organizations, law enforcement agencies and the business community. And calls upon all citizens, community agencies, faith groups, medical facilities, and businesses to increase their participation in our efforts to support families, thereby preventing child abuse and strengthening the communities in which we live. Mr. Scott made a motion to adopt Resolution 2018-051, seconded by Mr. Gross. At this point, this portion of the meeting was opened to the public at 7:10 p.m. There being no members of the public wishing to speak, this portion of the meeting was closed at 7:10 p.m. Section 1. The Township of Stillwater shall pay its municipal officers and employees for services rendered as shown below. Figures shown represent annual salary, unless otherwise noted. Section 2. Specific salaries or wages established by this Ordinance shall be made retroactive to January 1, 2018 unless otherwise noted. Section 3. 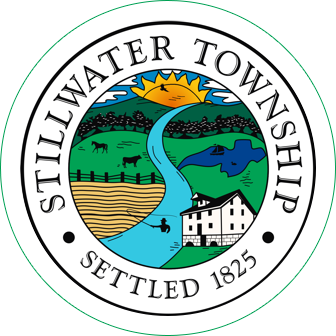 Nothing in this ordinance shall be construed as making mandatory the payment of annual salary increments to any officer or employees of the Township of Stillwater. Salary or wage increases shall be contingent upon availability of the funds. Section 4. All former ordinances or parts thereof conflicting or inconsistent with the provisions of this ordinance are hereby repealed. Section 5. This ordinance shall take effect after publication and passage according to law. Mr. Scott made a motion to introduce Ordinance 2018-04, seconded by Mr. Gross. Mr. Gross expressed concern with certain aspects of the proposal including Hardwick not having a fire department, insurance costs, maintenance and wear and tear on the fire trucks and equipment; as well as taxpayer money funding equipment being used in another township. He noted the money being paid to the fire department by Hardwick should be paid to the township to offset the taxpayer money being used to fund the department. Mr. Gross was also concerned with coverage in Stillwater during a call in Hardwick. Mr. Gross stated he would be in favor of the proposal if Hardwick had a small department of their own that we would only be assisting. Mr. Morrison spoke about mutual aid with Hardwick, which would be the case without this agreement and with no funding. He noted the fire department is expensive to operate and the funding from Hardwick for coverage would be beneficial. Mr. Scott was in favor of the proposal but expressed concern with being bound to the agreement for a certain extent of time. Mayor Chammings noted there is a severability clause included in the agreement. Mayor Chammings was in favor of the agreement. Hampton and Fredon would cover Stillwater when Stillwater is providing services to Hardwick. Mayor Chammings made a motion authorizing the Stillwater Volunteer Fire Department to execute an agreement with Hardwick, seconded by Mr. Morrison. Resolution 2018-052 was tabled to the April 17th meeting following the execution of the agreement. The appropriate officials are hereby authorized to execute the findings and determination for the above application and shall forward same to the Legalized Games of Chance Control Commission (LGCCC) for review. That the above license shall be issued pending LGCCC approval, pursuant to N.J.A.C. 13.1 et seq. Mr. Scott made a motion to adopt Resolution 2018-053, seconded by Mr. Morrison. 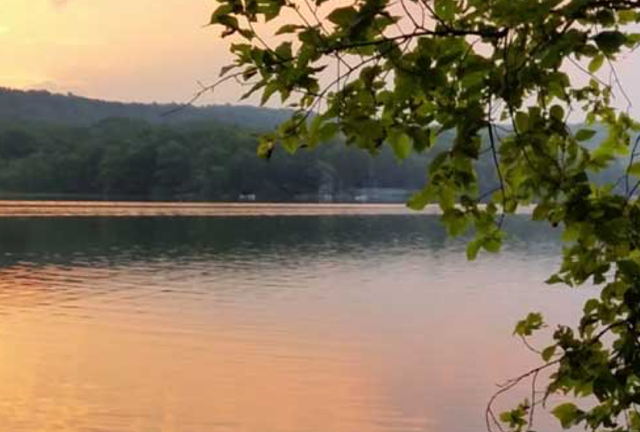 The Stillwater Township Committee supports the efforts of TNC and WRWMG to restore degraded riparian buffers and stabilize eroding streambanks along the Paulins Kill River within Stillwater Township. 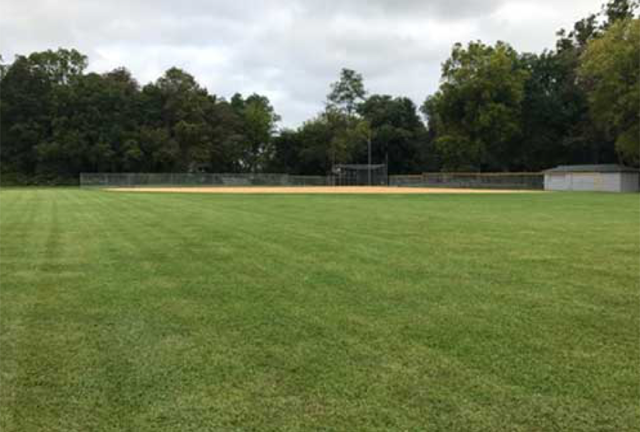 The Stillwater Township Committee will authorize the Township’s Department of Public Works to reasonably assist with the restoration work within Veterans Park, after consultation and coordination with the Department of Public Works Supervisor, and provided that the Township has personnel and equipment available to do so, and provided that it does not unduly interfere with other work required by the Township. Mayor Chammings made a motion to adopt Resolution 2018-054, seconded by Mr. Morrison. Following a discussion with the Zoning Officer, Mr. Bolcato reported on the following options for addressing property maintenance violations, currently for one specific property. -Existing ordinances based on the statute can address the matter – citing the owner for the violation and ordering clean up; or serving the owner with a summons to court, the judge orders clean up by a specific date or the township has a right to address the matter, resulting in a lien. -Source of funding needs to be determined; an estimate of the cost to address the property and whether or not it is worth investing the money to do so. -Safety of individuals sent to clean up the properties and/or inspectors – Mr. Bolcato suggested contacting the Sheriff’s Office or State Police to arrange their attendance. Mayor Chammings was concerned with the expenditure of taxpayer dollars to clean up a property and the possibility of not being reimbursed. Mr. Bolcato suggested researching grant funding or other options for assistance. of not paying them. If fines are paid the money could be used to address the issue. Mr. Bolcato stated nonpayment of fines could eventually result in a lien but would not address neighbor’s complaints and the negative affect on their property values. Mr. Gross suggested looking at the property in question before making a decision. Mayor Chammings suggested looking into funding opportunities. Following a discussion on land donations, the Committee agreed to have Ms. Knott contact other municipalities to inquire if they have a procedure in place for addressing the donation of properties. 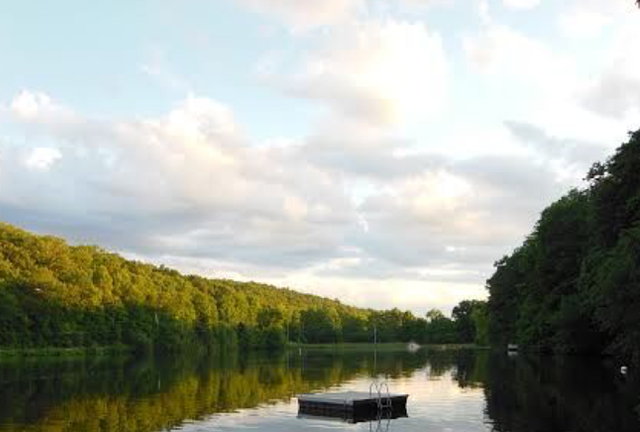 The Committee discussed the sale of township owned lots. Ms. Knott stated the township is paying taxes on such properties and there are liability and maintenance issues associated with that ownership. Mr. Bolcato stated an undersized property that is less than an 1/8 of the zoning requirement does not have to be sold at fair market value. Parcels more than 1/8 of the zoning requirement must be auctioned off to the highest bidder at no less than fair market value. Adjoining property owners would have first right of refusal. Ms. Knott will draft a list of those interested in donating property to the township and those wishing to purchase township owned property. Mr. Morrison will work on the land sale list with the assistance of Mayor Chammings. Ms. Knott stated Mr. Raff, DPW Supervisor, has asked that the position initially require a month or two of training at the Recycling Center, working Saturday through Wednesday, so the individual would be able to run the center if needed. Following that training period, the employee would then work full-time with the DPW, Monday through Friday and an additional employee would be hired to manage the Recycling Center. The Committee agreed with his request and an advertisement would be placed in the near future for a DPW laborer. JCP&L: Mayor Chammings reported she met with JCP&L on Friday, March 30th at the Municipal Building. There will be another meeting scheduled that will include six mayors and the Regional Supervisor of the area. It was a productive meeting. JCP&L will use the fairgrounds as a staging site for future storms. The Committee agreed to hold a free tire drop-off on Saturday, April 14th, a limit of four tires. An additional date will be added in May. Jan Bonavita, 918 Dove Island Road addressed Resolution 2018-052 and felt Mr. Gross and Mr. Morrison had very valid comments and concerns. She stated it should be appreciated that the fire department is looking for income, however Mr. Gross is correct in stating his concerns regarding taxpayer costs for equipment that is being used elsewhere. She agreed and also expressed concern with there being a call in Hardwick and Stillwater simultaneously. Mr. Bolcato indicated the agreement includes language that should that happen Stillwater would get preference. Stillwater is also secondary to Blairstown for covering Hardwick. There being no further members of the public wishing to speak, this portion of the meeting was closed. There being no further business, Mr. Scott made a motion to adjourn the meeting at 8:22 p.m., seconded by Mr. Morrison. In a voice vote, all were in favor.